Ever struggle with how to get the young people in your life to read consistently? You can’t go wrong with a series of books. I’d like for us to challenge ourselves and the kids in our lives to read through a series (or two) this year. Here are the 5 series’ of books that work with the kiddos in my life. I haven’t included the usual suspects like the Harry Potter series or the Anne of Green Gables series, because you probably don’t need my help to find or think of those. 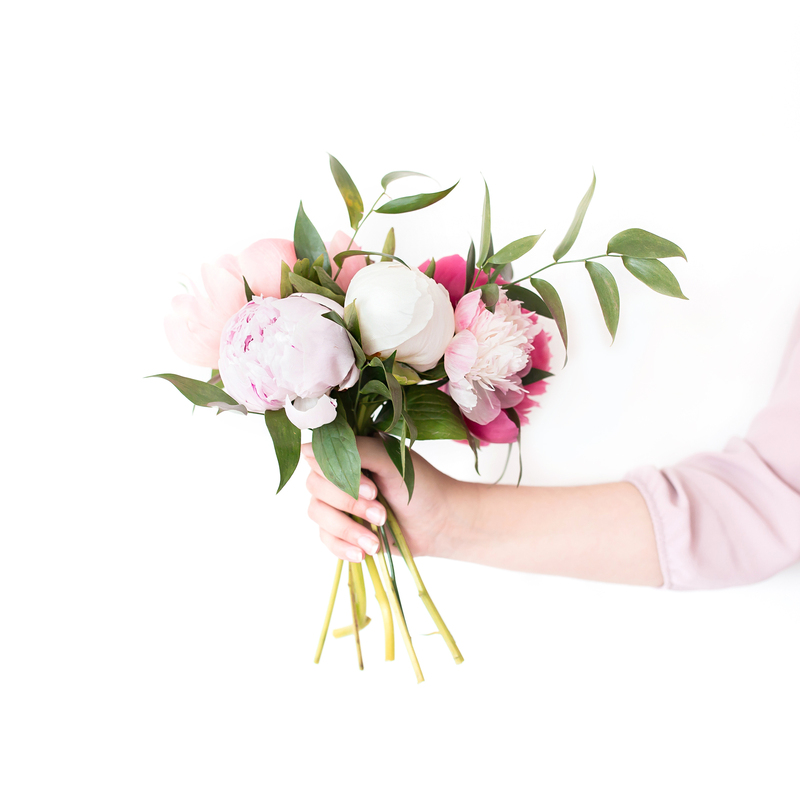 I’ve included some off-the-beaten-path choices and I’ve included ideas that would work for the younger ones in your life too. Reading a series of books to a toddler is a singular experience for the both of you. 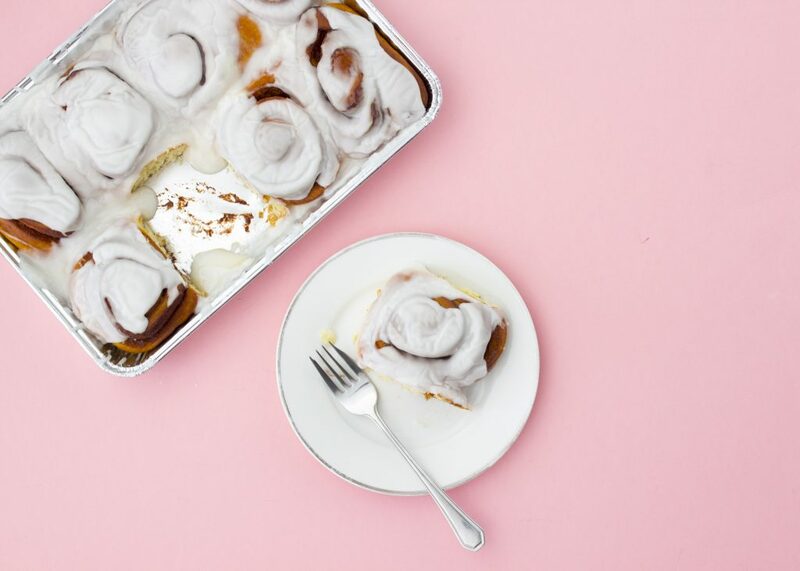 Trust me, you’ll love it. 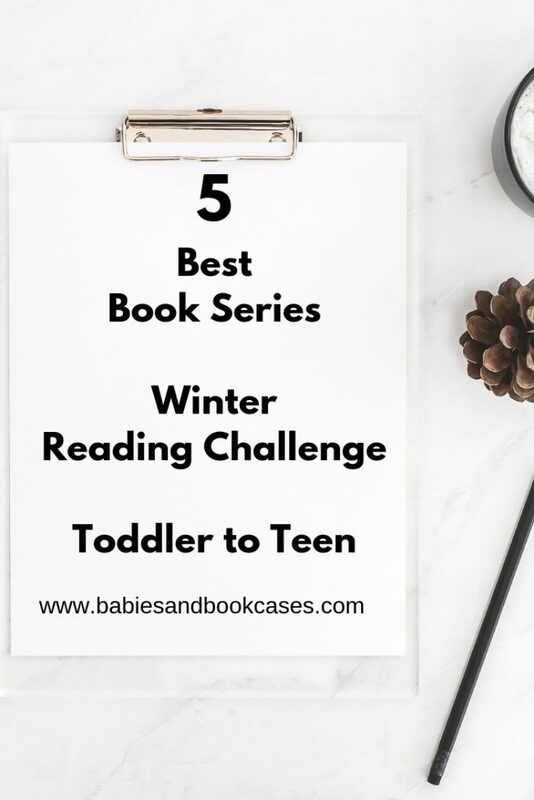 This challenge works best when you read the books along side (or read to) the kids you’re encouraging, so pick a genre, type of book, and series that you would want to read too. Also, if you like the books, the kids will feel it and will want to talk to you about it. 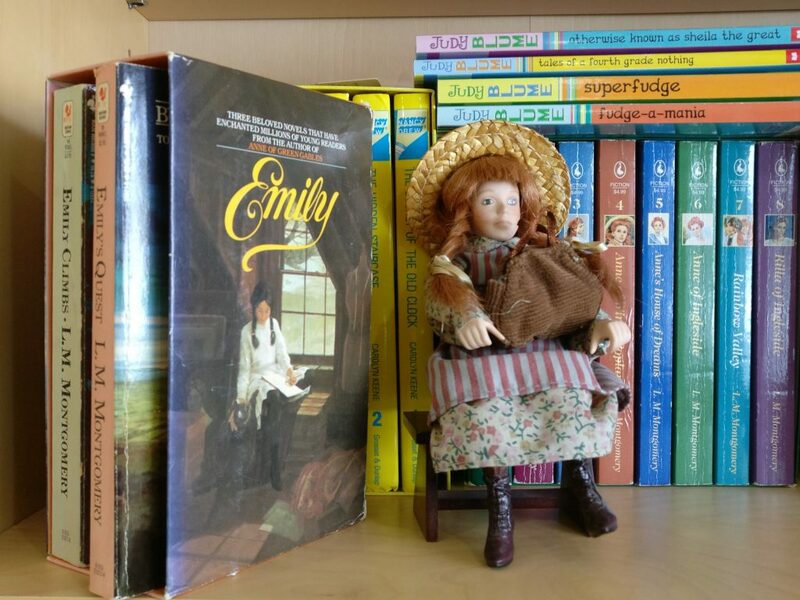 I’ve had the best conversations with my daughter about what she’s read in the Little House series. A series of books to encourage kids to read? Wouldn’t that be overwhelming? Why would several books with the same characters be more interesting than a whole new story every time? I’m glad you asked. For the young person just getting into books, you’re allowing them to discover the immense pleasure of starting a book, loving it, and just when they think it’s over and the melancholy sets in…Boom; the “Woah, I have another book in the series…it’s not over” feeling sets in. It can’t be beat, trust me. For the younger ones, having a set of characters that have different adventures, large and small, allows them to see their ‘friends’ in different lights and doing different things. 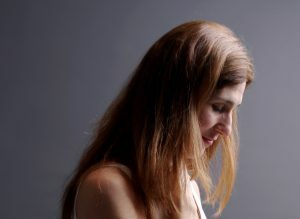 In my experience, it encourages them to have a sustained and continuous thought, and it fosters memory and retention. For the child or young adult that already knows what a joy reading a series can be because they whipped through Harry Potter, gear them toward a classic series that they may not have thought of. Reading a series of books that is part of the fabric of our Western cultural heritage is always a good idea. Again, Anne of Green Gables by L. M. Montgomery comes to mind, but also the Narnia series by C. S. Lewis. You can accompany these two with the movie adaptations of each and promise them a movie marathon day once they’ve finished the series. 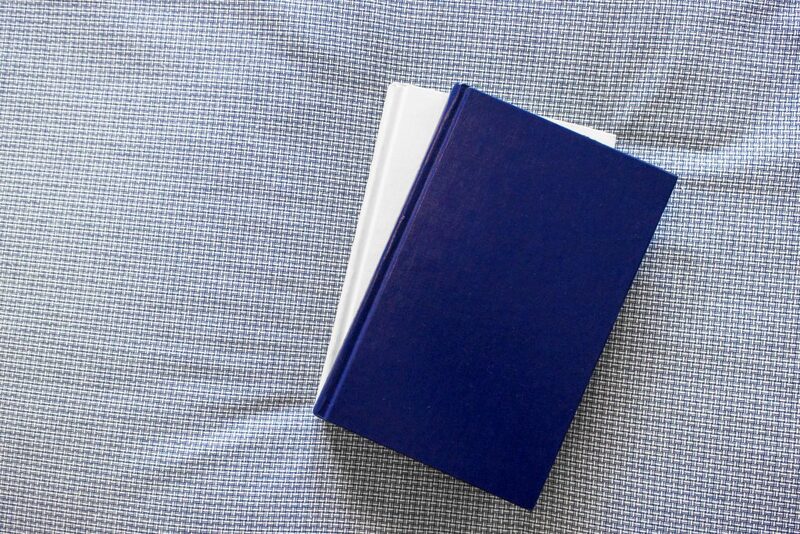 Make the books the beginning of an event, a moment you can share, something that connects you. If you haven’t read the series yourself, start it with them. Libraries usually have copies of the classics, so you can borrow a copy for yourself and buy a copy for your kids. If budget allows, you can buy two copies of a classic series without forking over too much since they are published in many different versions and can be pretty inexpensive. Used book shops probably have copies of these too, as some are even part of the school curriculum. Make a date with your Kid for a sweet treat and a conversation about the book. I’m not into bribing, but I’m all for it when the promise of a treat gets them to the table for a chat about something other than school and if it can encourage some reading. 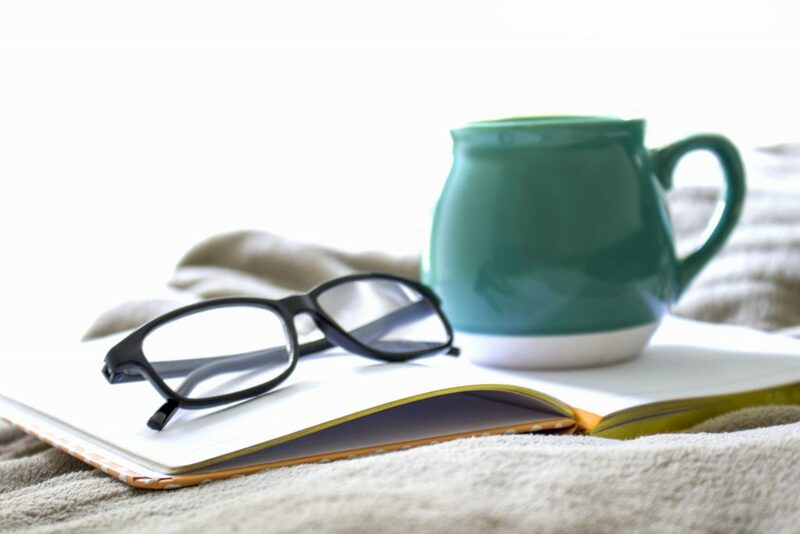 Make reading a longer series your own personal book club and keep tabs on each other by having a chat about the books every week. What did you like? Which parts had difficult vocabulary? What scene was the most interesting to read? What left you cold? What parts did they enjoy or not? You get the picture. 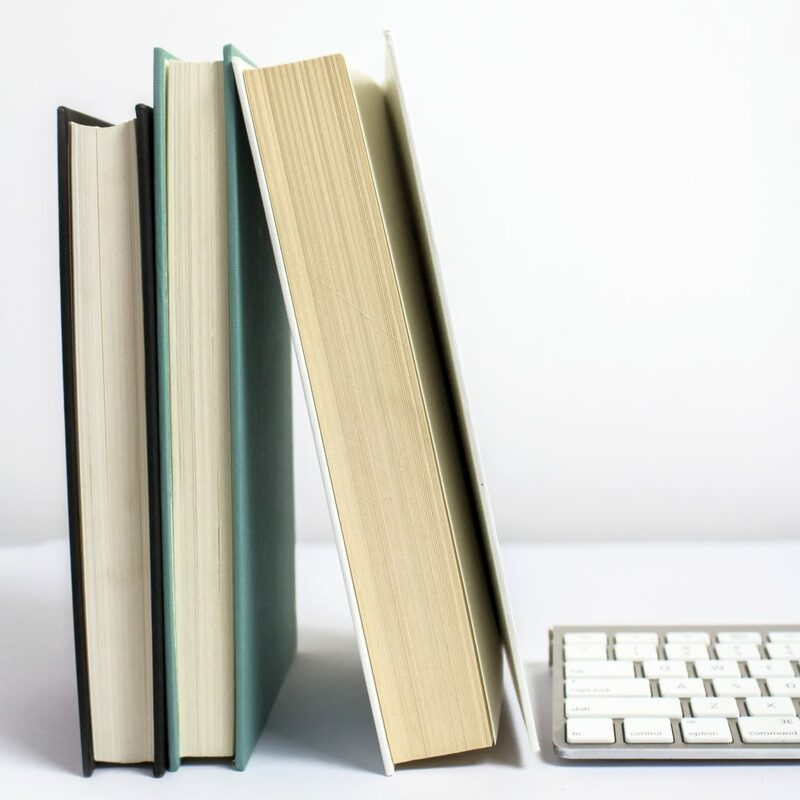 I’ll be including a book club guideline sheet to this post in the near future so stay tuned and remember to sign up for email notifications from me, so you’ll be sure to get it when it’s up. If you’d be interested in working on a book club with one or more of the series’ of books I suggest below, let me know. I’m working on getting a virtual book club up and running. Really, any book would make a child happy and teach them about the world, but there is something special about a series. What is your favourite series? 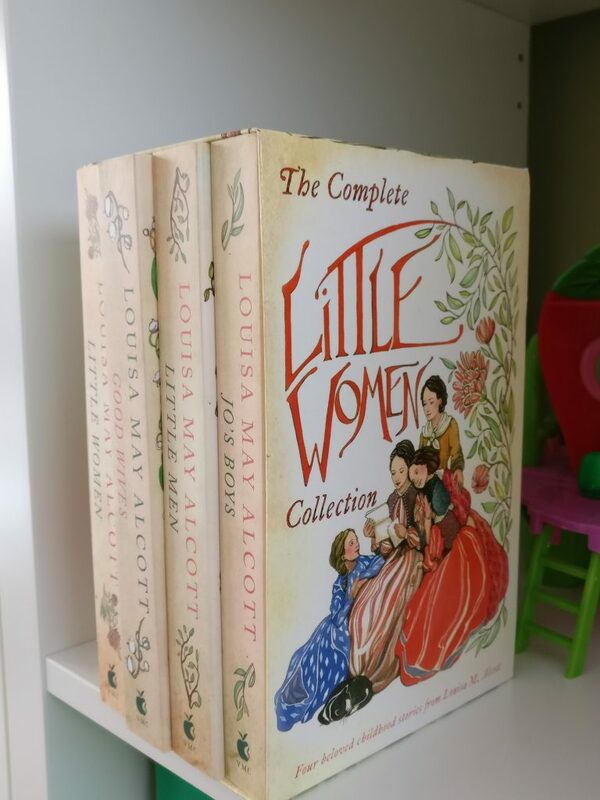 As a book-lover myself, here are my recommendations for the five best book sets to encourage sustained reading from the young people in your life. As a bonus, I think that books make the best gifts. Here are some more unique series’ of books to read with and to your little loved ones (and some ideas about what you can give along side the books). I’ve added links at the end of this post for each selection. I’ve chosen the version I like the best, but many of these recommendations come in multiple versions. Buy what you like best. Love this set! I’m going to enjoy sharing one of my childhood favourites with my kids. *** Ignore the glare and awkward set-up in this picture…the books are still covered in cellophane since they haven’t received this book series yet. Also, for the same reason, I had to get this picture taken faster than fast before they walked in on me!!?? 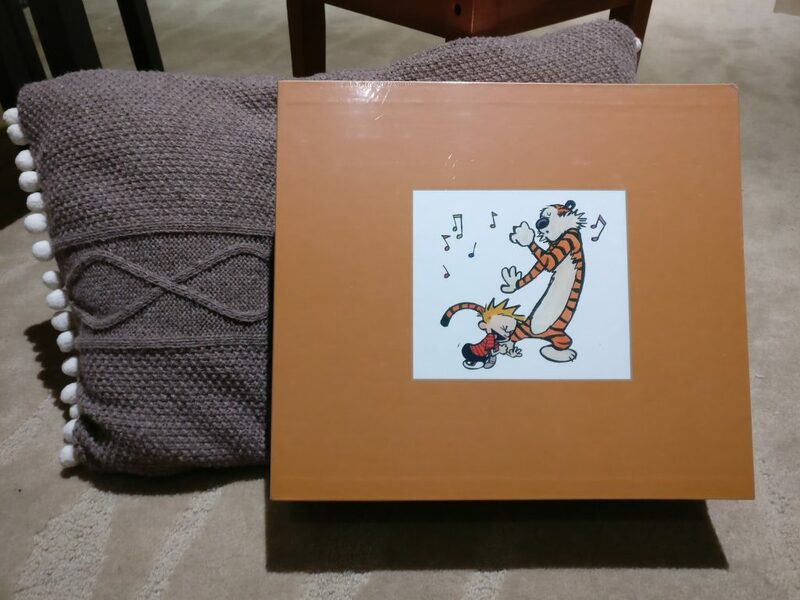 3) The Calvin and Hobbes comic book series. For the kids that love visuals and comic books. These characters were my favourite Saturday morning comic strip, when newspapers still came to your door and people read paper copies of things. This little boy and his pet Tiger go on all sorts of adventures. Loved by children and adults. Bill Watterson first published this strip in 1985 and ended it 10 years later, much to my chagrin. You can find the comics as a boxed set nowadays and it was on sale recently at amazon. Worth the price, they are timeless and will delight the child in your life that is intimidated by novels and longer texts. A tiger stuffy would make a great add on to this series. 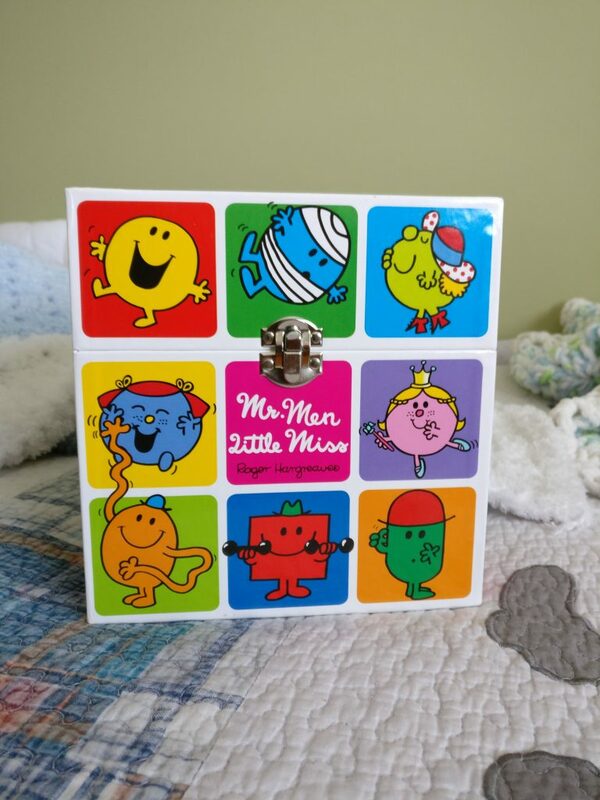 4) The Little Mister, Little Miss series of books with gems like Mr.
Grumpy, Mr. Worry and Little Miss Sunshine. My younger and older kids love these books as do I. I get to pick out a story that speaks to them, to their personality, to their specific struggles. What’s wonderful about them is if you are trying to teach your children a second language they’ve been translated into many different languages. I’ve bought these books in French, English and Italian. More on where I do my non-English shopping later in the post. This series has really cute stationary products that you can purchase to go along with books. The erasers and lunch box items that I bought were really cute but have lasted over 4 years of regular use. 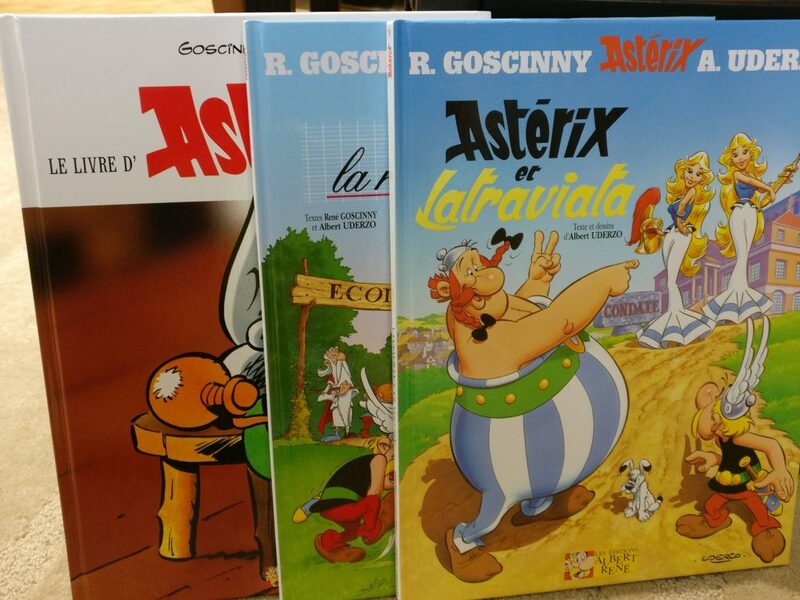 A few of our Asterix books. They are in French. As a bonus recommendation, here are two ways to get your kids into reading in another language. 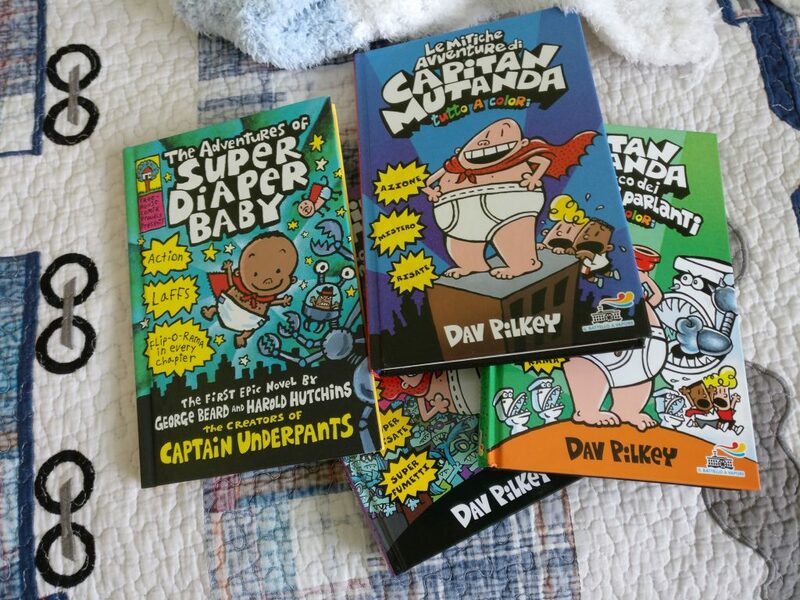 6) Capitan Mutande or Captain Underpants by Dav Pilkey. We’ve chosen to teach our kids Italian in a formal way, but now that they’ve got the basics down, reading what they love in the language they’re trying to master is the best way to pick up vocabulary. Dav Pilkey is a big hit in our house, so I buy a mix of his books in French, English and Italian. Choose an author that is popular and that your kids love. Find it in another language online and use it as a tool to increase their desire to read in a second or third language. 7) For those of you that love the Italian language and would like to learn it alongside your kiddos, I’d recommend this series of books by Nicoletta Costa. They are tops in our house and the illustrations are engaging and bright. The stories are sweet, but deal with real-life feelings as the characters go on their adventures. I bought these at http://www.ibs.it and http://www.inmondadori.it which are Italian online bookstores with a vast and interesting selection. So, as we start off the new year, let’s resolve to not resolve too much, but let’try to spend some more time together talking about important things, enjoying each other’s company and slowing down. Books help me do that; let’s get our kids to slow down too. Join me for this Kids Series Challenge (even with the little ones in your life). 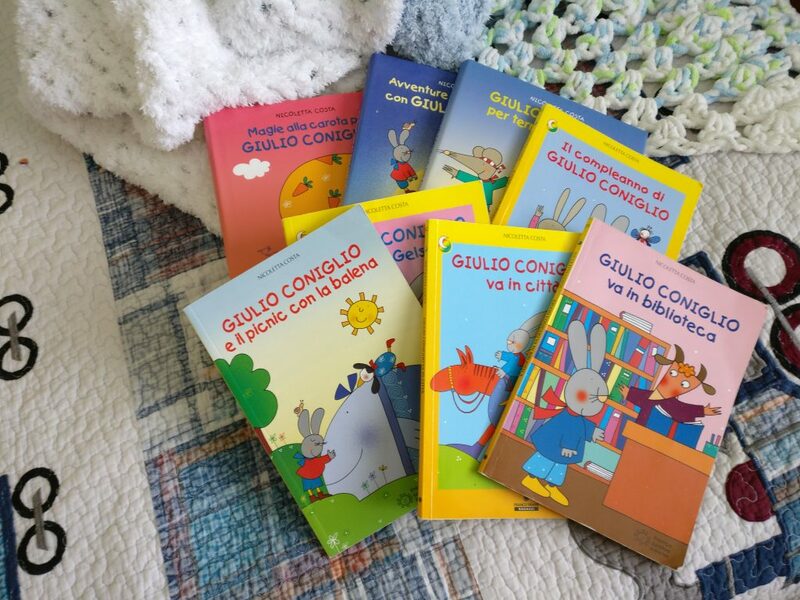 I’m working through Giulio Coniglio with my little toddler and it’s been fun seeing what things throughout our day I can connect to our bedtime reading. Falling on the ice like our favourite character, eating some carrots and snuggling under a quilt. You get the idea. It’s been a joy and I’d like to expand that experience to include my older children. I’d like to include you too! I’m challenging myself to connect to each of my children in a more individual way this year and these books are my way into their world. Let me know in the comments below what your favourite book series’ were when you were young? Will you join me on the challenge? Which recommendations worked for your kids? Which ones didn’t? Let’s keep the conversation going in the comments below. If your kids are into fantasy try the Wings of Fire series by Tui Sutherland. They’re for middle graders as the book starts off with a war that these dragonets are supposed to be ending, as per a prophesy. https://www.amazon.ca/Wings-Fire-Book-One-Dragonet/dp/0545349230/ref=sr_1_16?s=books&ie=UTF8&qid=1549500570&sr=1-16&keywords=wings+of+fire. They are a fairly new series. 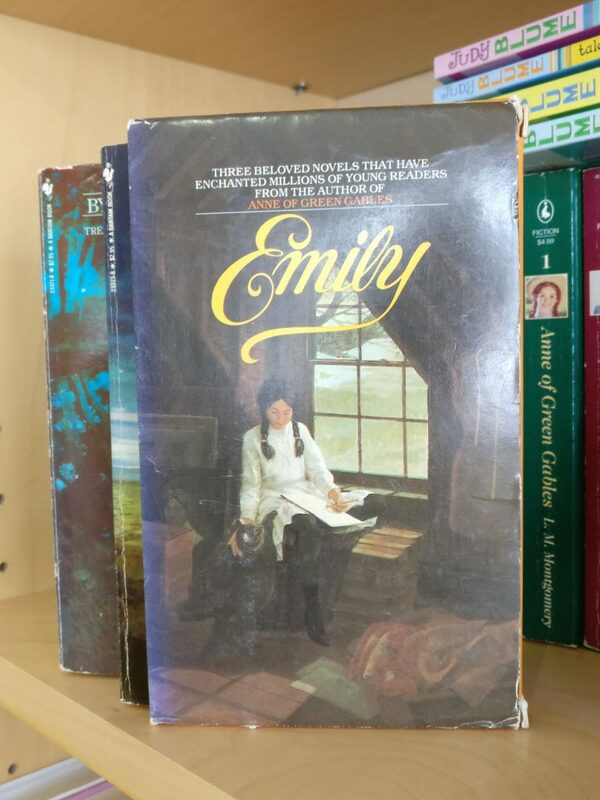 There are 5 books in this series and they are all fairly long. Great for read-aloud time. https://readaloudrevival.com/podcasts/ for tips and help in promoting reading aloud to your children. She has authors on her podcast. I think my kids will love the Starcatchers series. Thanks. Who doesn’t love Peter Pan?